Laurel Davis Huber is the author of the new novel The Velveteen Daughter, which focuses on Margery Williams, author of The Velveteen Rabbit, and her daughter, artist Pamela Bianco. She has worked as a teacher, a communications director, and a development officer, and she lives in New Jersey and Maine. 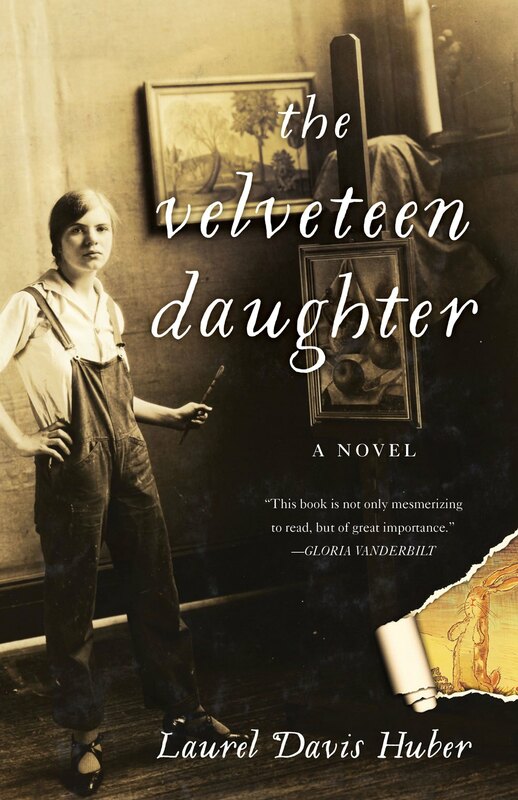 Q: How did you come up with the idea for The Velveteen Daughter? A: The idea was triggered one morning in 2006 when I was procrastinating, doing just about anything except work on whatever project was at hand. One of the first links that appeared was to a Bianco print for sale—the description mentioned that the artist had been a world famous child prodigy at the turn of the century. Intrigued, I continued Googling, and soon became obsessed. It wasn’t until much later that I discovered that her mother was Margery Williams, author of The Velveteen Rabbit. By then I was beyond obsessed. Nobody knew this story! And the years of research and writing began. Q: What did you see as the right blend of fiction and history as you wrote the novel? A: Getting this right was critical to me. The more I researched and got to know the people involved, the more I determined to stick to the truth as much as possible. I had no desire to make up scenes just to add drama to the story if they were wholly fictional. Which meant that my job was to take the facts and embroider them in a way that was as dramatic—as novelistic—as possible. There is a lot of dialogue in the book, and of course most of that I had to invent. 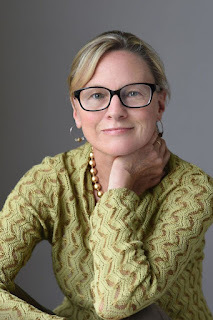 Still, there is very little in the novel that is not based on facts gleaned from books, newspaper and magazine articles, personal letters, and interviews (I was lucky to meet with Pamela’s daughter-in-law). Q: What sort of research did you do to write the book? A: The short answer is – fun research! I loved everything about the research. There was quite a bit that was done online, of course. That was fascinating, but couldn’t compare to the sheer adventure of road trips to libraries and special collections at places like the New York Public Library, Columbia University, Vassar College, and Lilly Library in Indiana, to name just a few. I pored over family letters, photographs, microfiche film, scholarly journals, and very old editions of magazines like Harper’s Bazaar and Vanity Fair. I found treasures everywhere, and the excitement never dulled. Q: How did you decide on the novel’s structure and the order in which it unfolds? A: The answer to that would take a novella to explain. The truth is, and I am sure it’s the same for many novelists, is that the book had a painfully long evolution. The very first version I wrote was called White Blossom, Black Garnet and focused solely on Pamela. Margery was a minor character. From there the story gets tangled—suffice it to say that I re-wrote the entire novel at least four or five times. The re-workings were all based on a combination of my reactions to reader comments, my intuition, and agent suggestions. The idea for final version occurred to me in 2014, when I thought I’d rather commit hara-kiri than re-write the book one more time. But when I thought that maybe if the chapters were very short it would be a great way to pick up the pace (before that the chapters were 10 to 40 pages long), I found the energy to begin again. There was a lot of juggling to do to ensure that the reader could follow the different threads of the story. But it became like a puzzle, and it was a great challenge to keep rearranging the pieces to fit. A: I have written almost 100 pages of a novel that is probably the polar opposite of The Velveteen Daughter in every way. It’s contemporary, it’s a work of magical realism, and the protagonists are a woman and her dog. Hmm…we will see what happens with that one! A: The negative: I can’t cook. Plants die if they happen to be anywhere near me. The positive: I’m pretty good at doing the New York Times crossword puzzles. I have taken long walks every day for the last twenty years—it’s healthy, of course, but I’ve also found it’s rather amazing in the “inspiration” department. The miscellaneous: I love Maine. I also love dogs but don’t have one at the moment.